Let’s climb out of our bubbles now, emerge from behind our screens, walls, loudspeakers and headphones and open our ears directly on the environment. Let’s go for another soundwalk. Le Soundwalking, pour moi, est un moyen de ré-inscrire le corps dans le paysage sonore. Un corps en mouvement ne peut rester silencieux : ainsi, lorsque nous marchons, nous affectons le paysage sonore et notre expérience d’écoute. Ma proposition pour webSYNradio intitulée « Always First Steps » progresse à travers une sélection de soundwalks que j’ai effectuées à différents endroits et contextes au cours des 10 dernières années. Certains de ces soundwalks font maintenant partie de projets plus vastes. Certains ont été inclus dans ma pratique d’enseignement. D’autres sont simplement ce qu’ils sont : des instantanés sonores de l’expérience toute personnelle de marcher dans un environnement sonore. Le titre – Always first steps – est l’une des stratégies obliques de Brian Eno et Peter Schmidt, sur laquelle je suis tombé par hasard lors d’un soundwalk il y a un an et demi. Cela reste ma « stratégie oblique » favorite : rappeler que chaque étape d’une promenade sonore pourrait, et devrait peut-être être, la toute première. Soundwalking, for me, is a way to re-inscribe the body in the soundscape. A moving body cannot remain in silence: thus, when soundwalking, we affect the soundscape and our listening experience. Always First Steps retreads through a selection of soundwalks I have done in different locations and contexts during the past 10 years or so. Some of these soundwalks have become part of larger projects. Some were part of my teaching practice. Others are simply what they are: personal sonic snapshots of the experience of walking through a sound environment. The title – Always First Steps – is one of Brian Eno and Peter Schmidt’s Oblique Strategies, which I chanced upon during a soundwalk a year and a half ago. 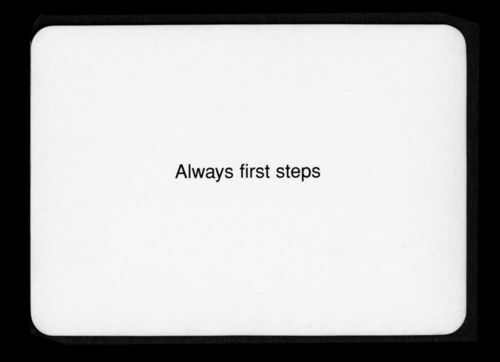 It remains my favourite oblique strategy: a reminder that every step during a soundwalk could, and maybe should be, the very first one. One of a series of soundwalks I did in and around Madrid’s bustling Sunday flea market – El Rastro – back in 2010. People still don’t believe that there is no actual editing in this fragment – just me, my binaurals, and some energetic head-turning and moving around. The Hare Krishna procession at 13:30 is a classic there. This is a fragment of Fibonacci Flash-Forward, an algorithmic soundwalk I produced for WLD Barcelona’s 2018 Listening Room. This year’s theme for World Listening Day was Listening to the Future. Structuring a walk around a Fibonacci number sequence was easy, if strange. Editing the resulting material to draw in sound from a few seconds in the future, following the flash-forward technique, proved harder. And stranger still. A fragment of Following Footsteps (Drift), a piece I produced for a workshop with Eric La Casa in Madrid’s Reina Sofía Museum back in 2012. The workshop was premised on the idea of drifting through the museum space. The only way I found to get lost in this context was to limit my movements to following other people’s steps around me. Then things got busy. More of a collective walk (if you will), this is a binaural take of me following a demonstration in Madrid in the heady days of the #15M Movement – the triumphal re-entry into Puerta del Sol on August the 3rd, 2011. Not a soundwalk, strictly speaking, but a ride on the tram out of the city of Porto on the way the Atlantic beaches. First days of 2007. In late 2015 I facilitated a workshop – Soundwalking Cuenca – at the Fine Arts Department of Cuenca, Spain, where I was teaching at the time. Here, the participants discover the joys of contact microphones on a wooden bridge over the Júcar river. In 2015 and 2016 I lead Random Walk, a radio programme based on soundwalks for La Casa Encendida arts centre in Madrid. One of the first programmes was a soundwalk with French sound artist Déborah Gros. Déborah chose the environs of Madrid’s Enrique Tierno Galván park – a little known part of the city, and one which contains an amphitheatre with some surprising acoustic properties. A brief soundwalk, reciting fragments from Robert Walser’s The Walk for Malaventura’s Der Spaziergang project, back in 2012. You really can’t be involved in peripathetic practices and not deal with Walser at some point. Another soundwalk from a workshop at the Fine Arts Faculty in Cuenca, Spain. This one took place in November 2014. Another bridge-crossing, this time applying contact mics to a suspension bridge, listening in to the footsteps of passers-by, and improvising collectively. Maybe things got a little out of hand at some point. Another moment from the Soundwalking Cuenca workshop in 2015. This time, the soundwalk took place inside the Fine Arts Faculty building, and students were instructed to use coil pickups to “listen in” to the electromagnetic impulses inside the building. This was part of a soundwalking workshop I facilitated at La Térmica arts centre, Málaga, in 2016. Strolling and drifting through the busy Atarazanas market was one of the highlights of the weekend. May 2016 – a fragment of the final Random Walk radio programme – this time dedicated to Brainard and Perec’s I Remember methodology, enacted during a soundwalk through Madrid’s quarter of Lavapiés. Walking and intercepting other passers-by on a suspension bridge in Madrid, Spain, in 2016. This was released on LEA Ediciones’ 2017 World Listening Day compilation. Les balades sonores présentées ici ont été enregistrées à différents endroits en Europe entre 2007 et 2018, à l’aide de divers dispositifs d’enregistrement et microphones, allant des microphones binauraux et à contact aux micros à bobines. The soundwalks presented here have been recorded at different locations around Europe between 2007 and 2018, using a variety of recording devices and microphones, ranging from binaural and contact microphones all the way to coil pickups. Première écoute : à partir du jeudi 17 janvier 20h jusqu’au 30 janvier 2019 même horaire. Kamen Nedev est un artiste sonore, flâneur, fugueur et producteur culturel indépendant. Depuis 1986, il travaille et vit à Madrid. Dès 2005, sous le pseudonyme Acoustic Mirror, il travaille sur une ligne de recherche dans les domaines de la phonographie, de l’art sonore et de l’art radiophonique, en mettant l’accent sur le paysage sonore de l’espace urbain ainsi que sur la production sonore sociale, l’écoute située et l’exploration sonore militante. Kamen Nedev is a sound artist, flâneur, fugueur, and independent cultural producer. Since 1986 he works and tries to live in Madrid, Spain. 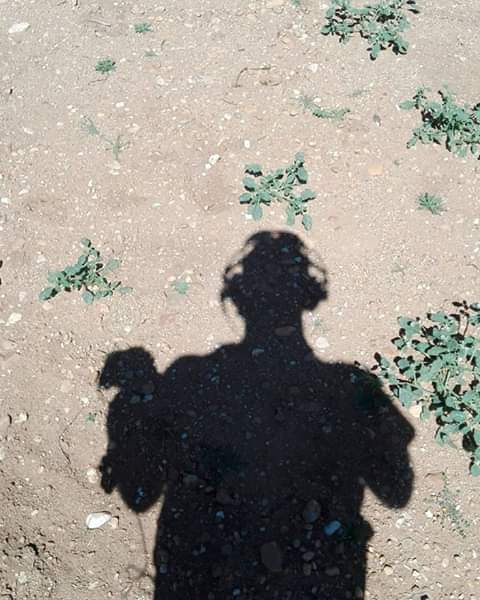 Since 2005, under the Acoustic Mirror moniker, he has been working on a line of research in phonography, sound art, and radio art, with an emphasis on the soundscape of urban space as well as social sound production, situated listening, and militant sound investigation.